Instructions for students related to TWASK 2019 Download File.. Regarding extension of academic session Download File.. Regarding Summer term classes Download File.. 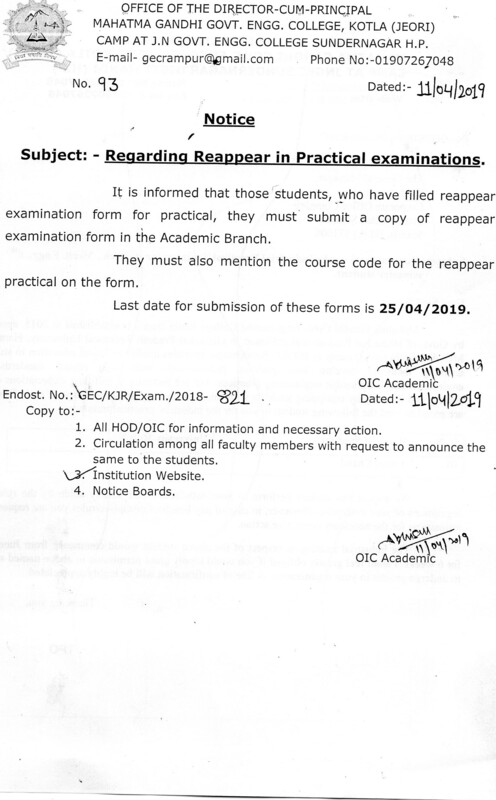 Regarding Reappear in Practical Examination Download File.. 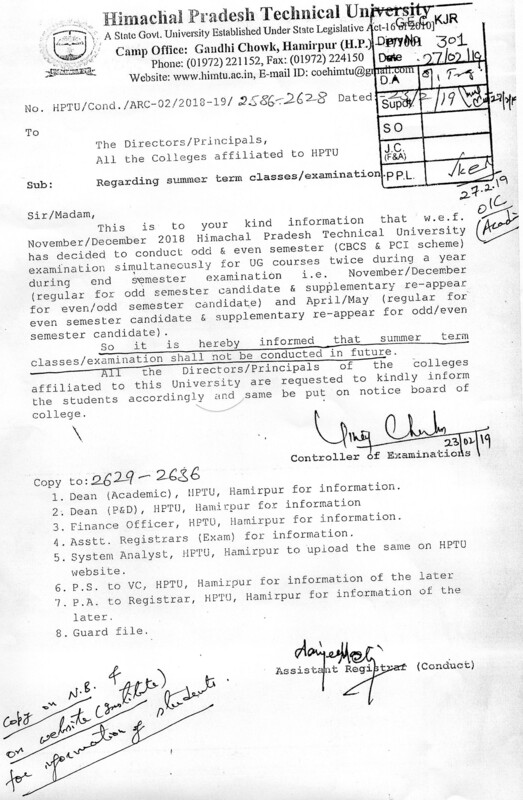 Regarding Examination forms Download File.. 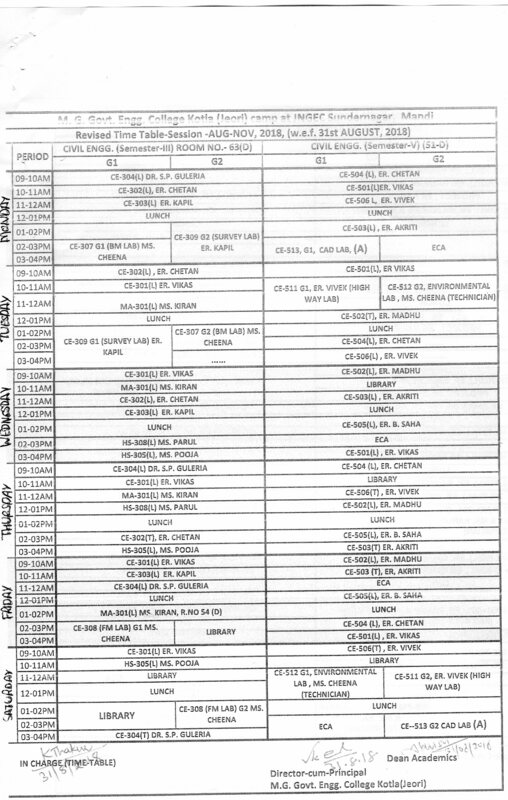 Date sheet for second periodical examination Download File.. Regarding Second Periodical Examination Download File.. Attendance of 4th Sem. Civil Engg. Download File.. Attendance of 6th Sem. Civil Engg. Download File.. Attendance of 6th Sem. Mech. Engg. Download File.. Attendance of 2nd Sem. Civil Engg. Download File.. Attendance of 2nd Sem. Mech. Engg. Download File.. Attendance of 4th sem. Mech. Engg. 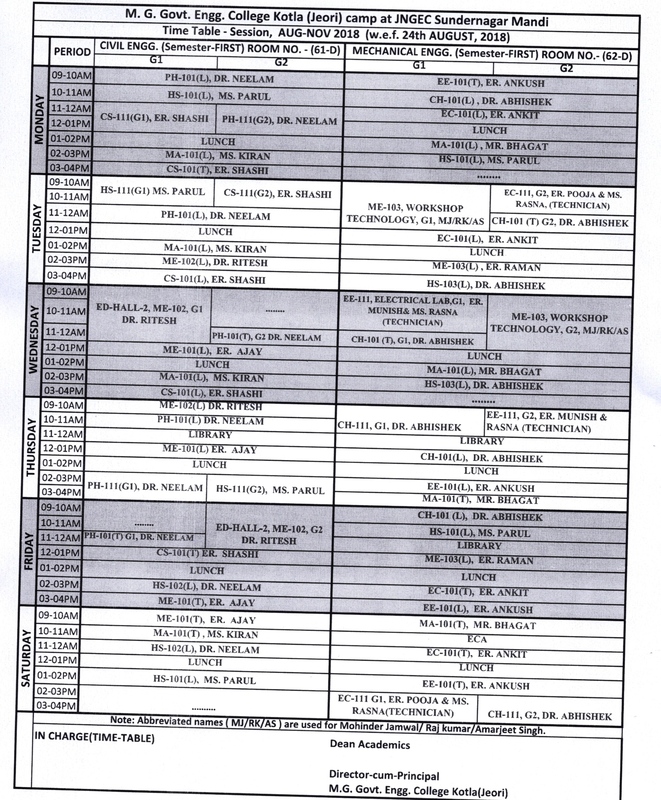 Download File..
Revised Time table of Mech. and Civil Engg. Download File.. 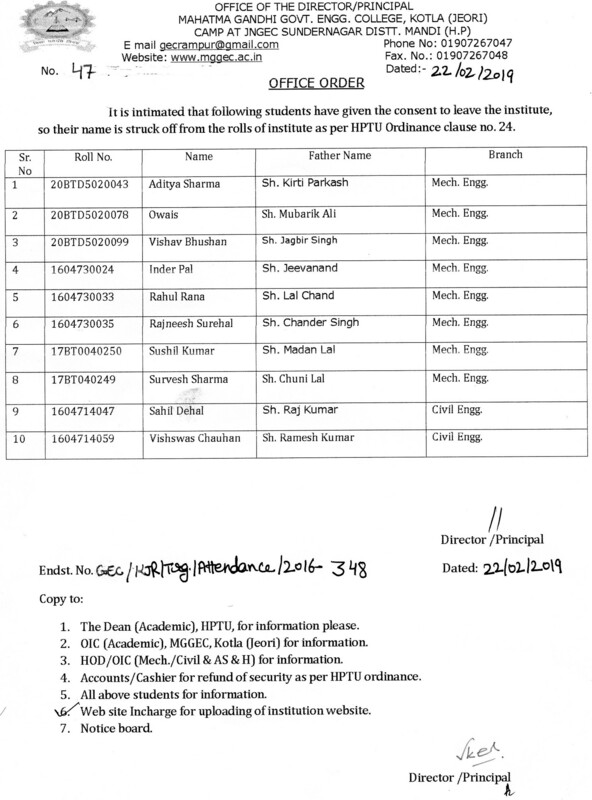 List of students'name being struck off from the institute. Download File.. 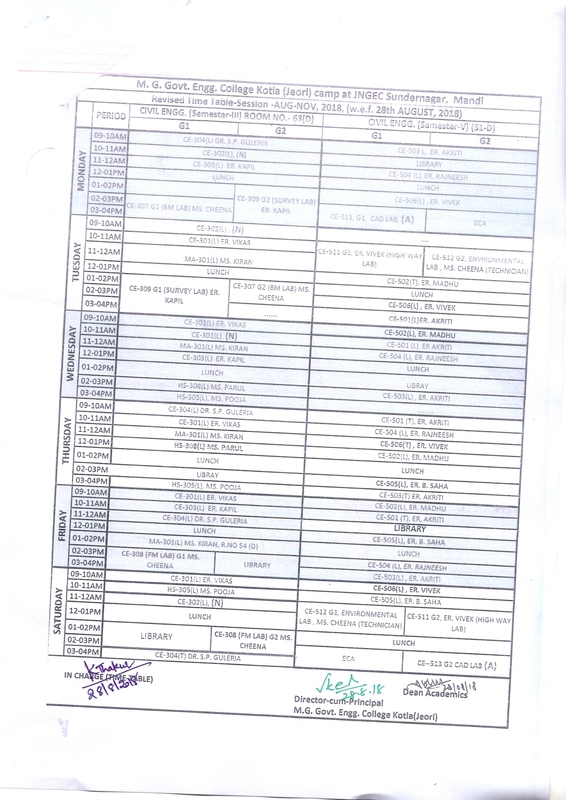 Date Sheet for First Periodical Examination Download File.. Regarding major project groups of Civil engg. Download File..
Notice regarding First Periodical Download File.. 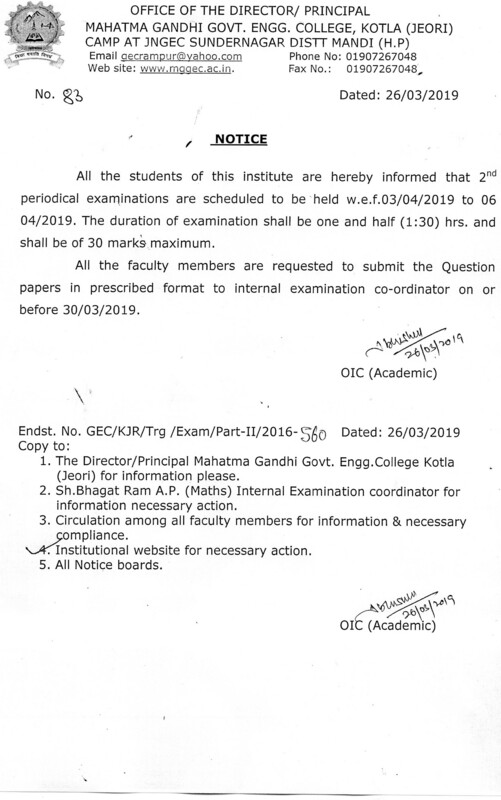 Regarding industrial project confirmation letter and joining report Download File..
Time table for the session 2019 Download File.. 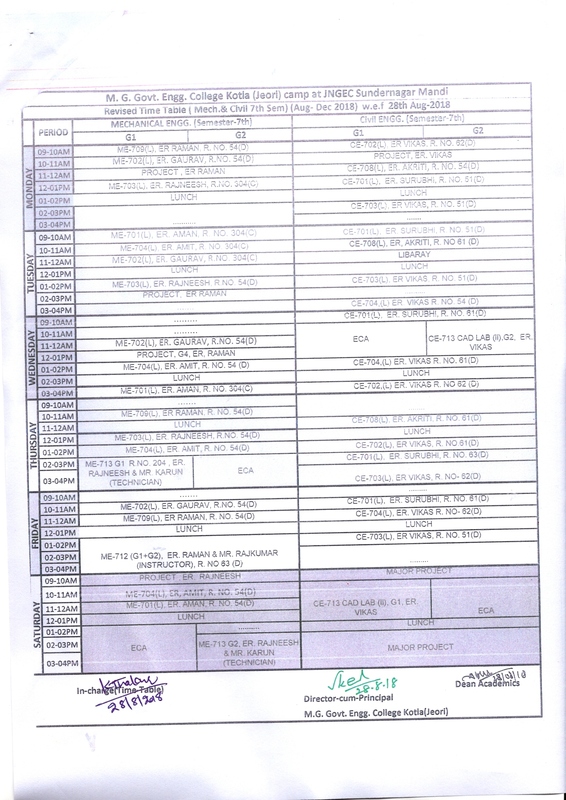 Academic Calendar for the session 2019 Download File.. 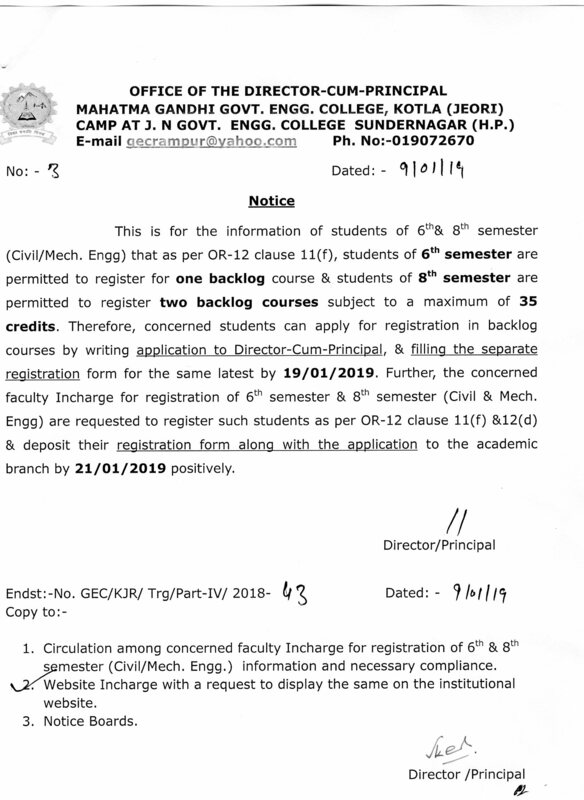 Regarding registration for backlog courses ( 6th & 8th semesters) Download File.. 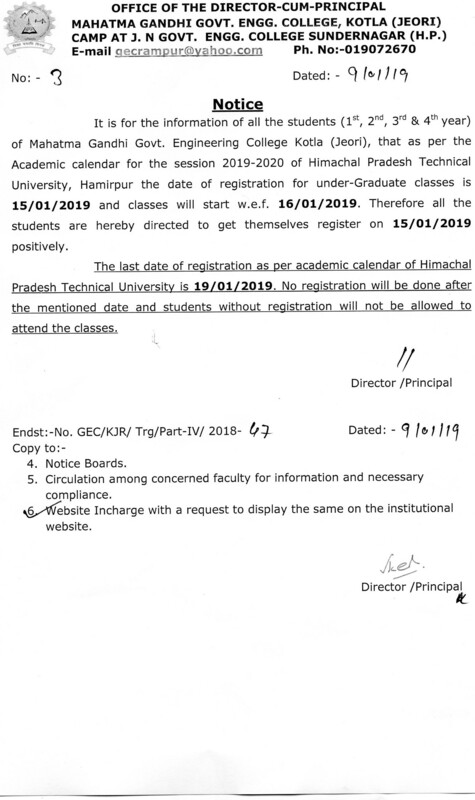 Regarding registration for the session 2019-2020 Download File.. 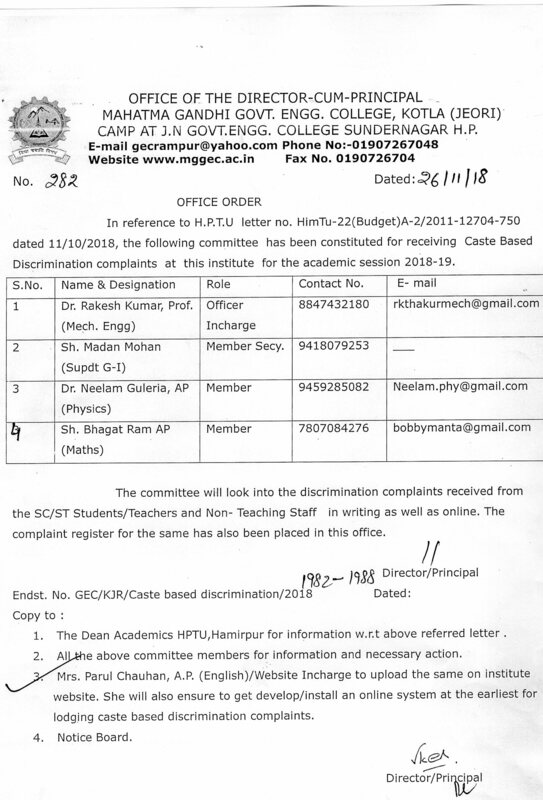 Regarding fees for 2nd,4th,6th and 8th Semester Download File..
Caste Based Discrimination complaints committee Download File.. 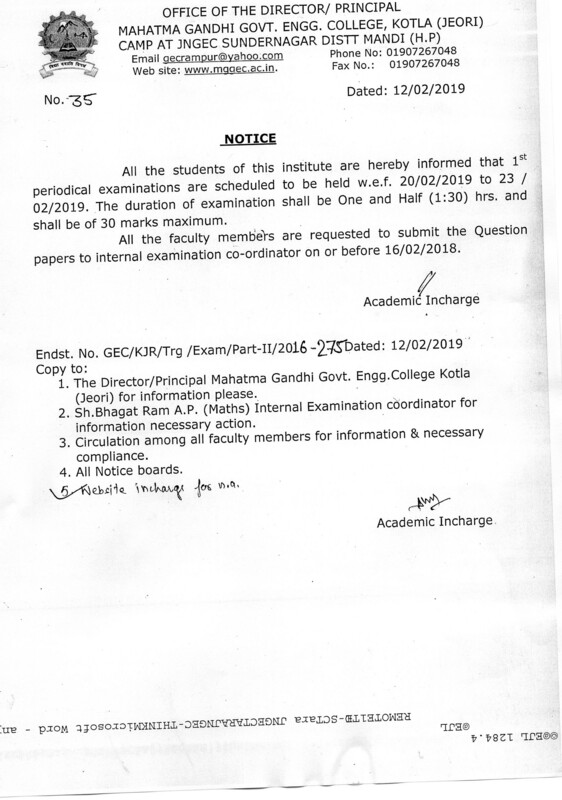 Regarding admit card for final examination Download File.. Regarding Principal / Faculty Details. Download File.. 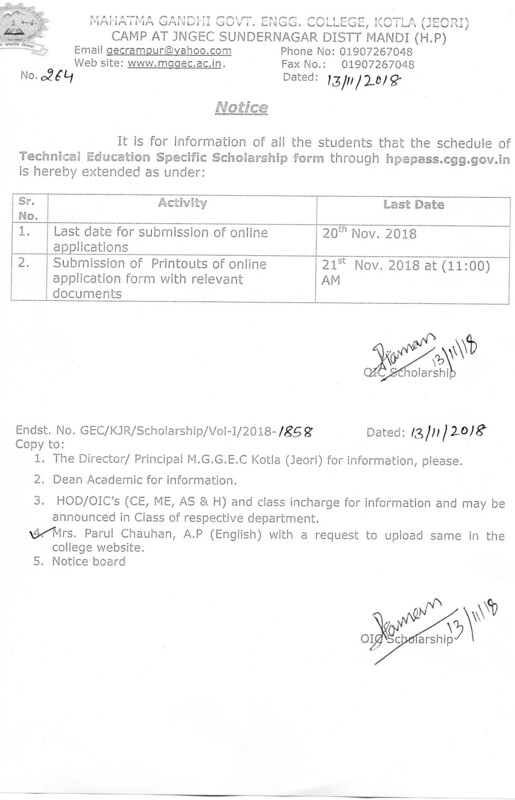 Regarding Technical Education Specific Scholarship FORM Download File..
Revised Project of Civil Engg. Download File.. 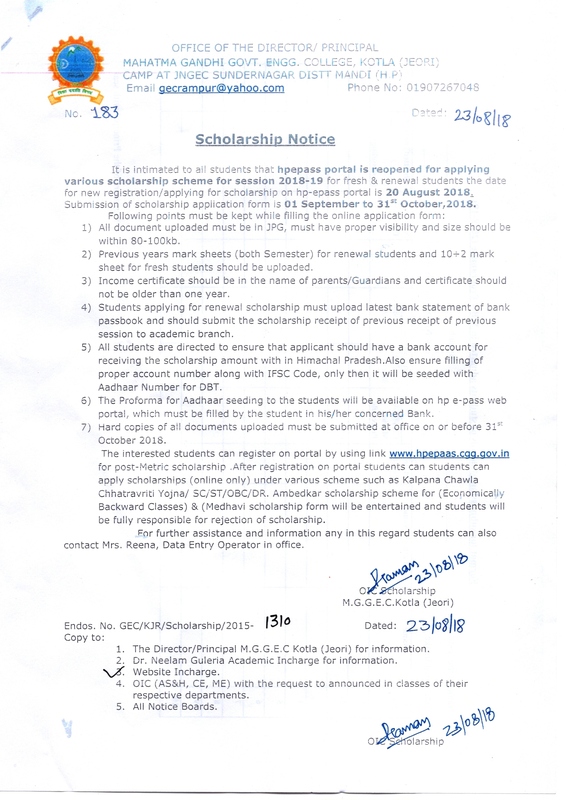 Regarding HPe Pass Scholarship Date Extension Download File.. Regarding Project of Civil Engg. 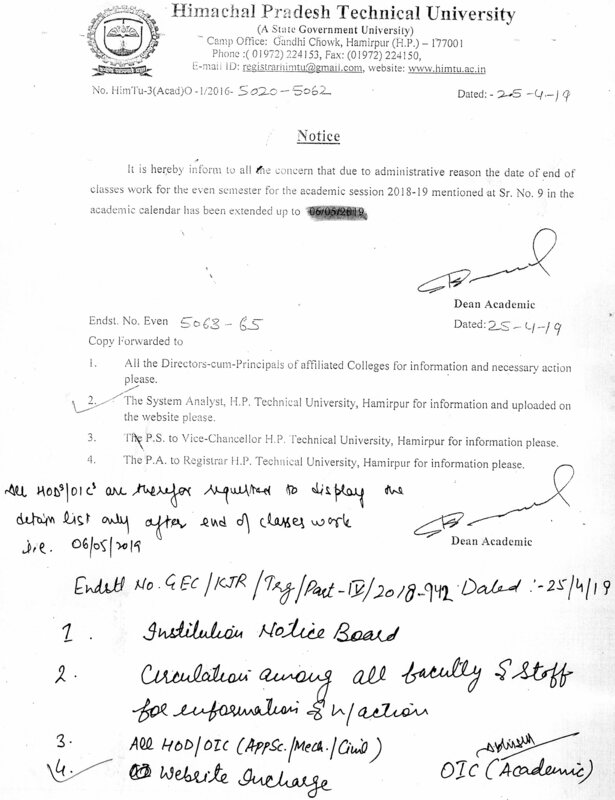 7th semester Download File..
Notice regarding Scholarship Download File..
Major Projects For Civil Engg. 7th semester Download File..
Notice Regarding Registration for Session 2018-19. Welcome to Mahatma Gandhi Govt. Engineering College Kotla (Jeori) established in 2015. MGGEC Kotla (Jeori) provides quality technical education to students enabling them to develop into qualified professionals with high ethical standards and environmentally responsible engineering practices. We are focusing at fulfilling expectations of the society and industry, by equipping students with latest technology and knowledge of their field. 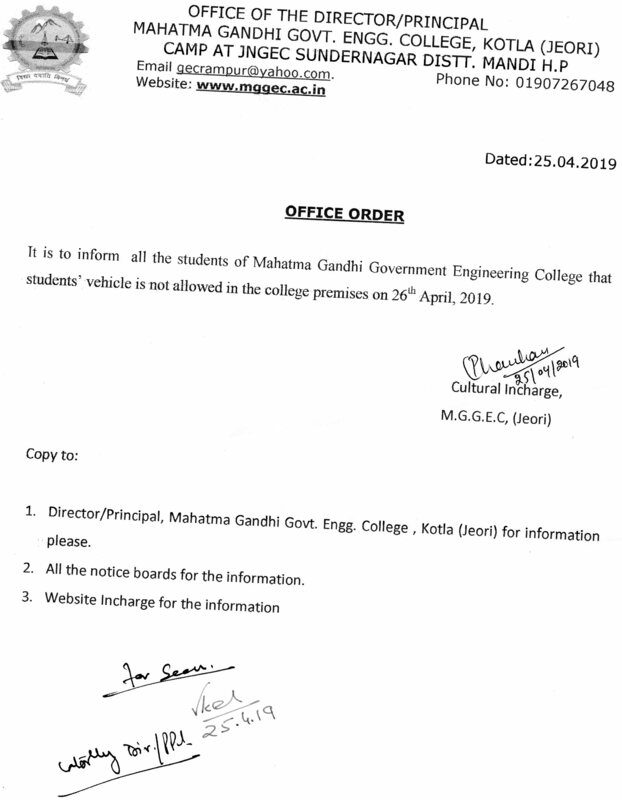 Greetings and a warm welcome to Mahatma Gandhi Government Engineering College (MGGEC) Kotla (Jeori), Teh.-Rampur, District- Shimla (HP). 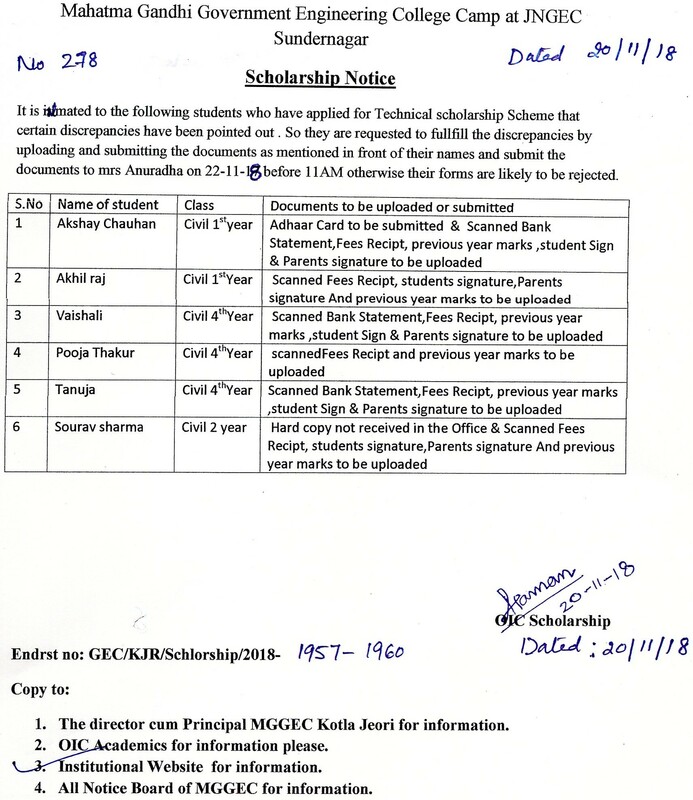 MGGEC Kotla (Jeori), is the fourth Government Engineering College of Himachal Pradesh state established in the year 2015. The foundation stone of the college was laid down on 15th November 2015, at Kotla (Jeori), Teh.-Rampur, District- Shimla (HP). Presently, the college is having its temporary campus at Jawaharlal Nehru Government Engineering College (JNGEC) Sundernagar, Distt.-Mandi (HP) Himachal Pradesh. This college is an off campus college of H. P. Technical University, Hamirpur, Himachal Pradesh. List of students' names being struck off from the institute. Download File.. Regarding major projects of Civil Engg. 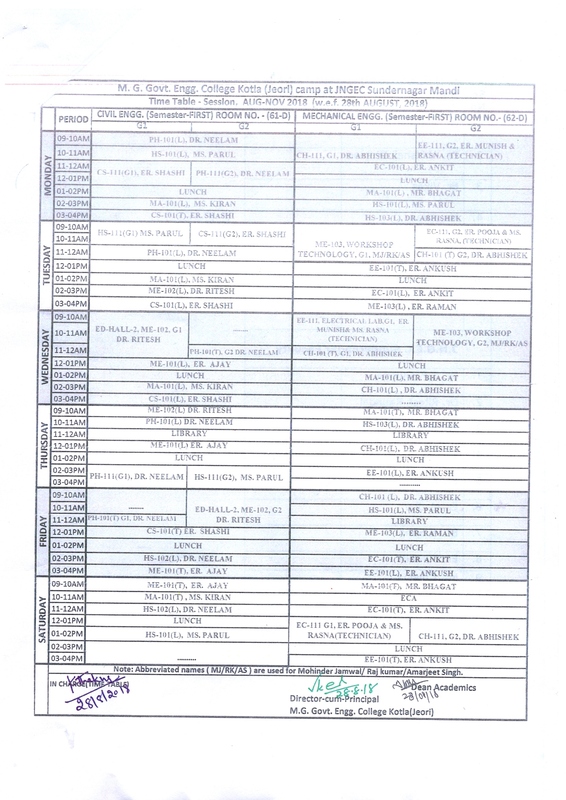 Download File..
Revised Timetable for fourth, sixth and eighth semester Download File.. 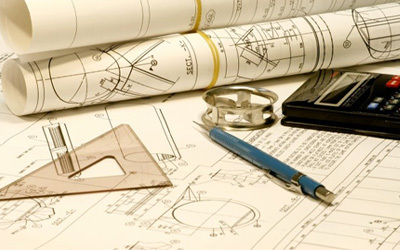 Regarding Industrial Project Joining Report Download File.. 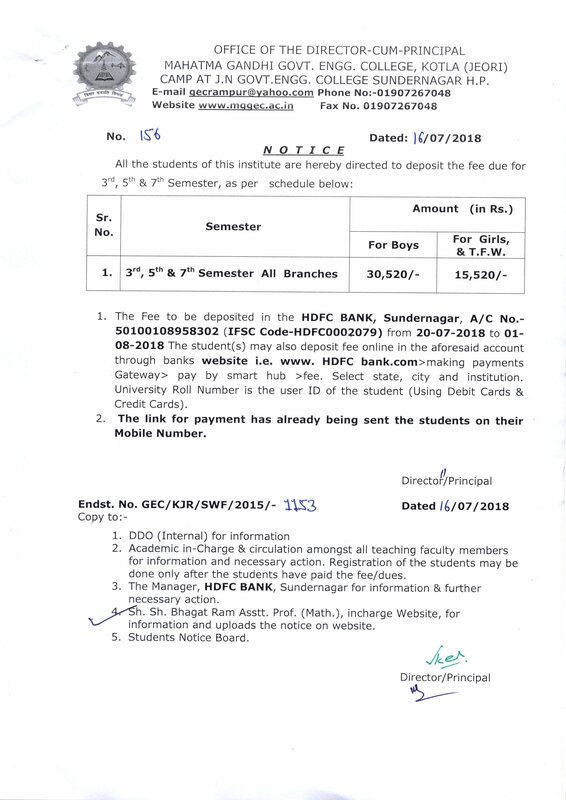 Regarding fees for 2nd, 4th,6th & 8th Semester Download File.. Regarding Technical Specific Scholarship Form Download File.. 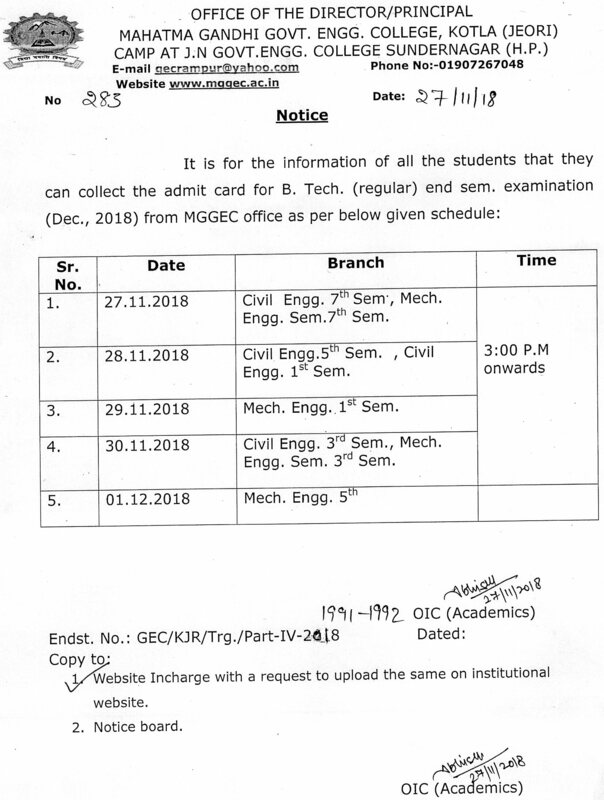 Final Date sheet for Examination- December 2018 Download File..
Date-Sheet for second periodical Examination Download File..
Notice regarding Student Grievance Redressal cell Download File..
Notice regarding Examination form Download File..
Revised Time Table for Civil Engg. 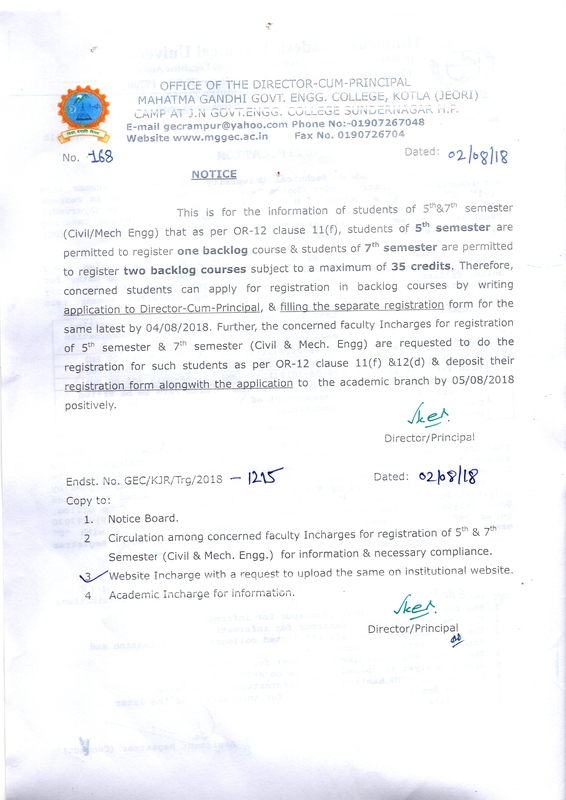 & Mech.Engg. 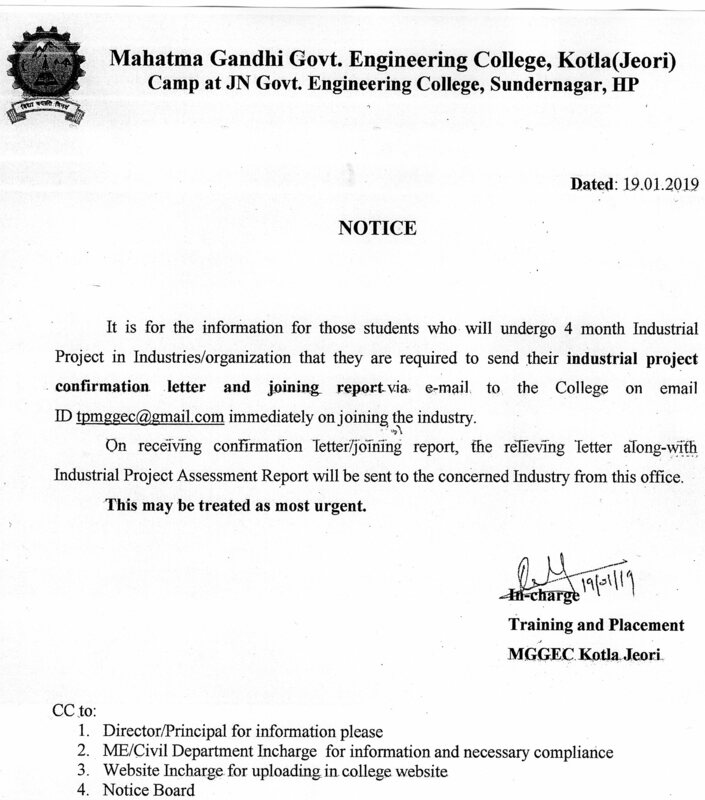 Download File..
Notice regarding Project Groups (Civil Engg.) 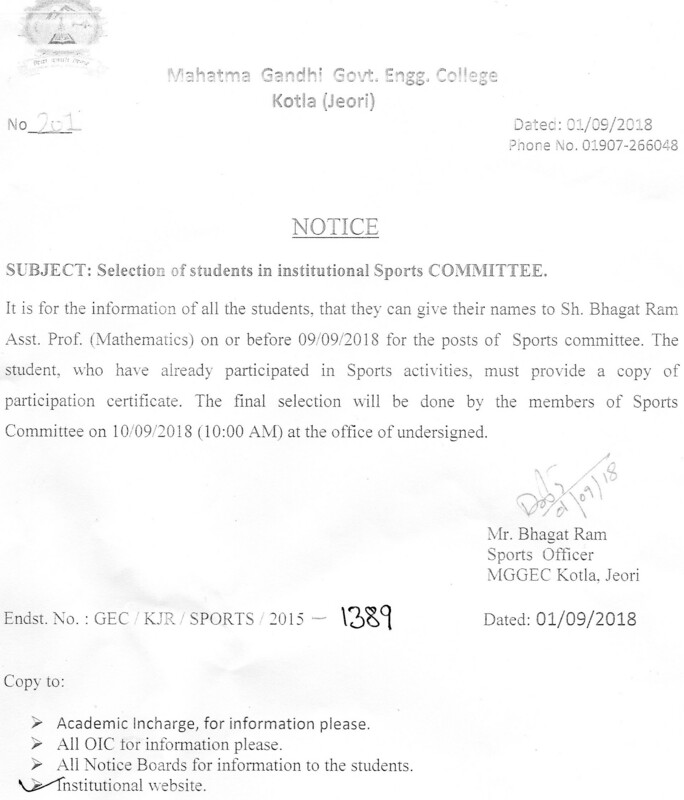 Download File..
Notice regarding Sports Committee Download File..
Notice regarding NSS Committee Download File..
Notice regarding Cultural Committee Download File..
Date-Sheet for first Periodical Examination Download File..
Revised Time Table of 3rd and 5th semester(Civil Engg.) for Session August 2018. 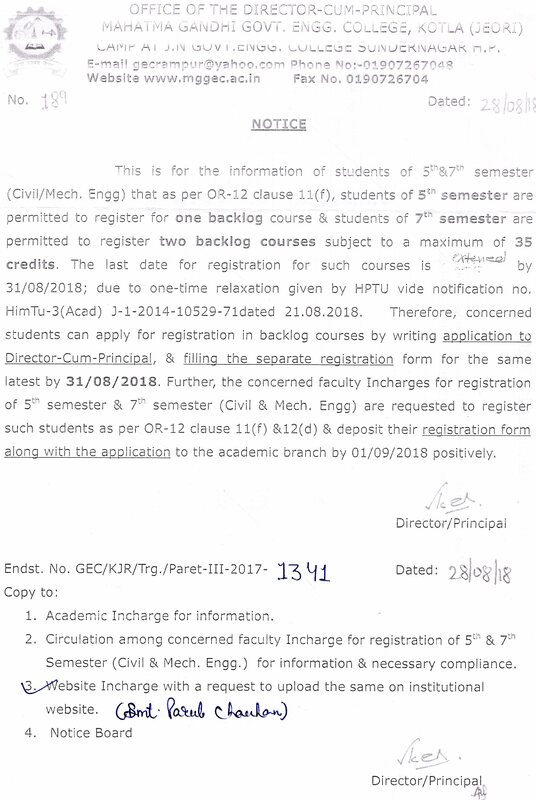 Download File..
Notice regarding backlog course of 5th and 7th semester Download File..
Revised Time Table For Civil 3rd and 5th semester for Session August 2018. Download File..
Revised Time Table For 7th semester for Session August 2018. 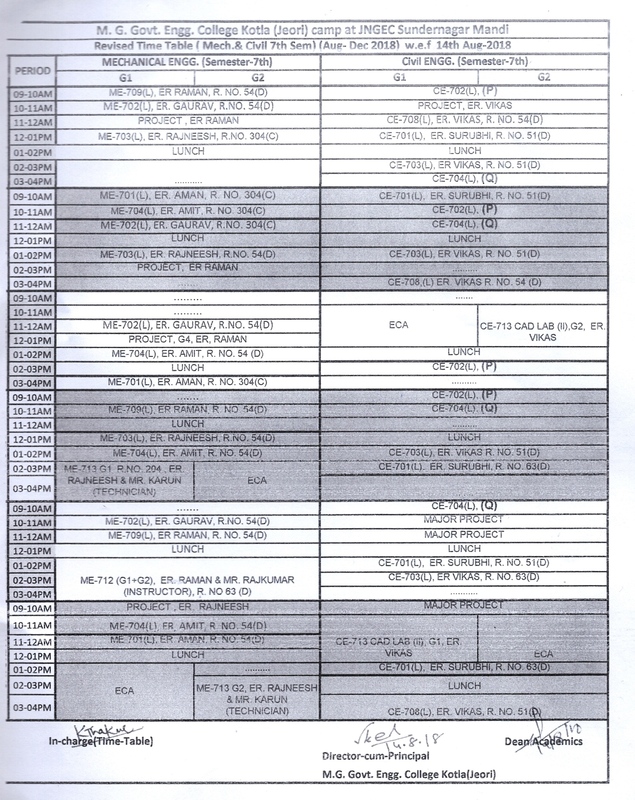 Download File..
Revised Time Table For First sem. For Session August, 2018 Download File..
Notice Regarding Scholarship Portal Download File..
Time Table For First Year Students For Session 2018 Download File..
Revised Time Table For 3rd and 5th semester for Session August 2018. Download File..
Notice Regarding Backlog courses for 5th and 7th semester. 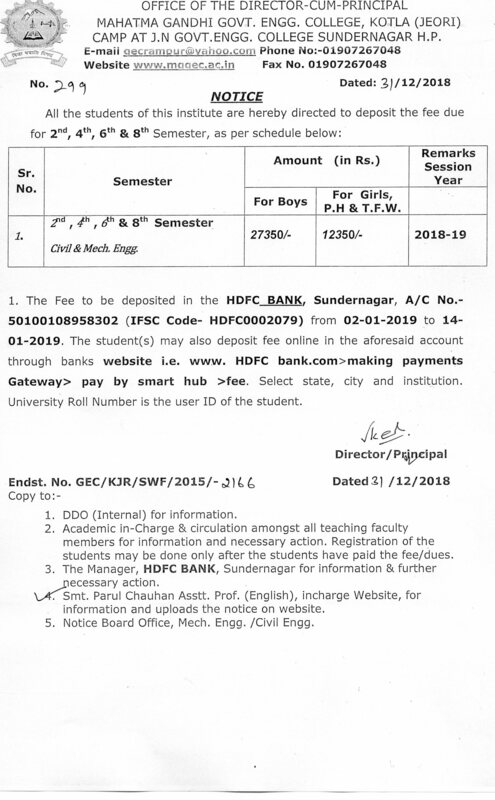 Download File..
Fee Notice for 3rd, 5th, 7th Semesters Student for Session 2018-2019. Download File.. 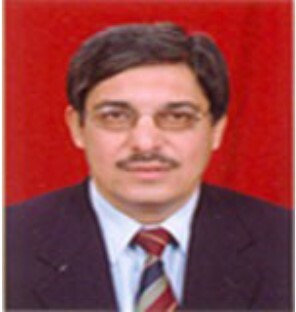 Vision of the department is to give an exposure to budding civil technocrats to various challenges in the profession. 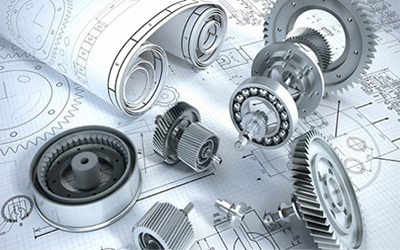 Vision of the department has been to produce high quality undergraduates and postgraduates in mechanical engineering. 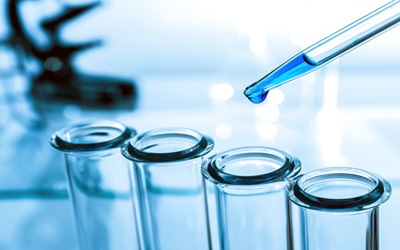 To impart quality education, training and research at the undergraduate in various areas of Applied Sciences.